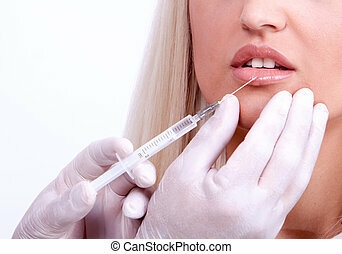 Woman giving botox injections. 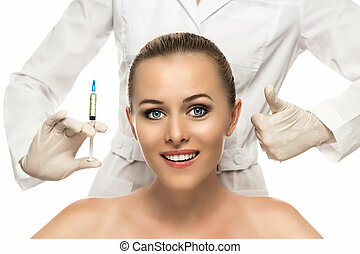 Beauty woman giving botox injections. 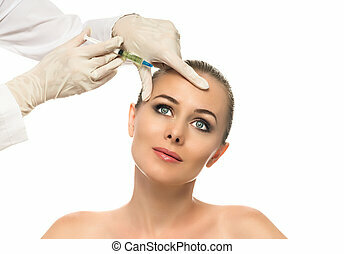 Beauty portrait of attractive woman giving botox injections. 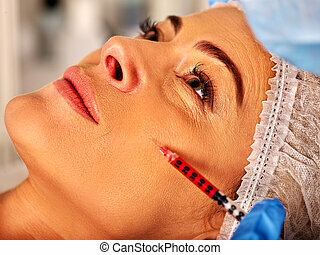 Cosmetic injection to the pretty Beautiful woman face and beautician hands with syringe. Doctor woman giving botox injections. Isolated on the white background. Doctor woman giving botox injections. Isolated. 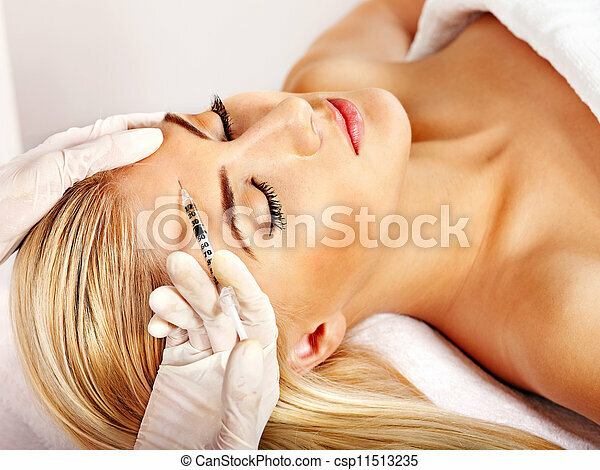 Beauty woman giving botox injections on forehead. 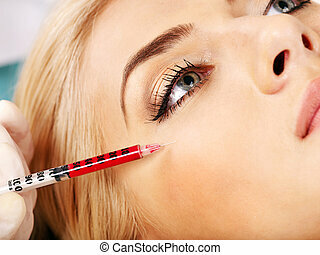 Doctor woman giving botox injections under eye. Doctor woman giving botox injections. Visible hand. 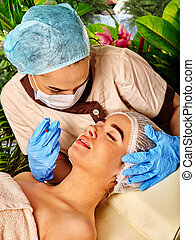 Woman middle-aged in spa salon with medical doctor. 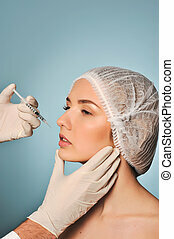 Beauty woman giving botox injections. 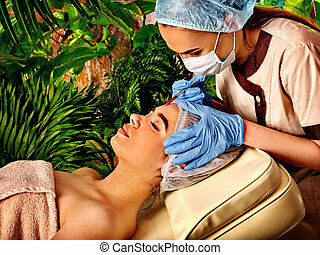 Woman middle-aged in spa salon with beautician. 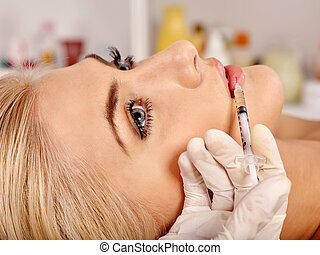 Beauty woman giving botox injections. Medicine and beauty. Filler injection for female face. 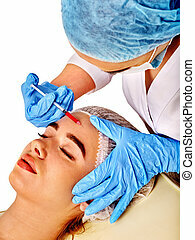 Plastic aesthetic facial surgery by doctor in beauty clinic. 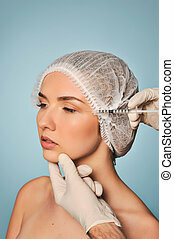 Beauty woman giving botox injections. Dermal fillers of woman middle-aged in spa salon with beautician. 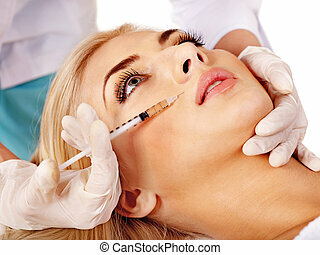 Beauty woman giving botox injections. Lifting and moisturizing the skin. Filler injection for female face. Plastic aesthetic facial surgery by doctor in beauty clinic. 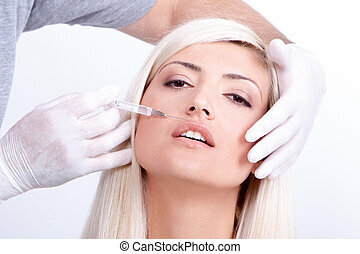 Beauty woman giving botox injections. Waterfall and green plants in background. 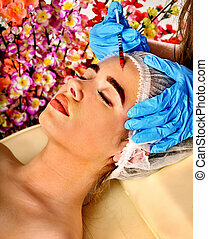 Filler injection for female forehead face. Plastic aesthetic facial surgery by doctor in beauty clinic. 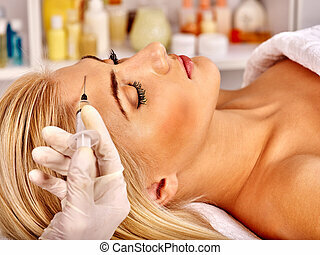 Beauty woman giving botox injections. Doctor in medical gloves with syringe. Filler injection for female face. 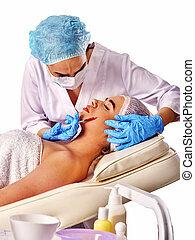 Plastic aesthetic facial surgery by doctor wearing medical hat in beauty clinic. 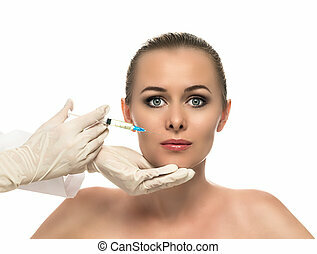 Beauty woman giving botox injections. Waterfall and green plants in background. 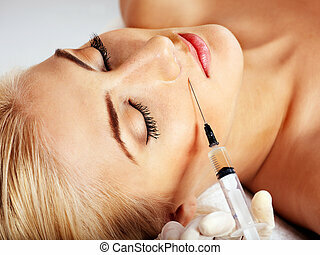 Filler injection for female forehead face. Plastic aesthetic facial surgery in beauty clinic. Beauty woman giving botox injections. Doctor in medical gloves with syringe on spring flowers background.